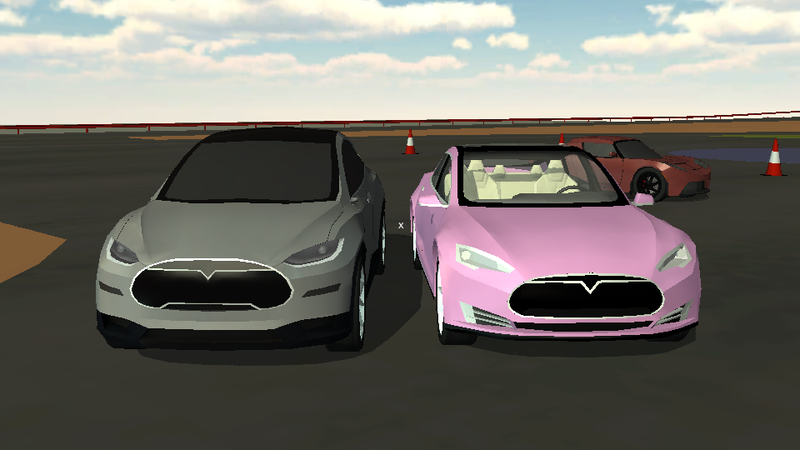 The first car made by Tesla Motors was the Roadster (right), the second car was the Model S (middle), and the third car will be Model X (left). 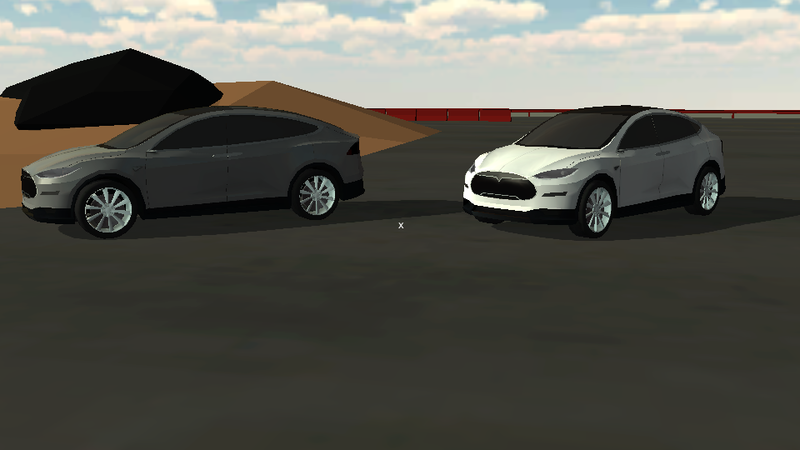 That car is not yet ready for delivery (I think they have some problems with the doors) so you have to wait unity 2015/2016 before you can drive one - until today when I added the Model X to my Tesla Simulator. 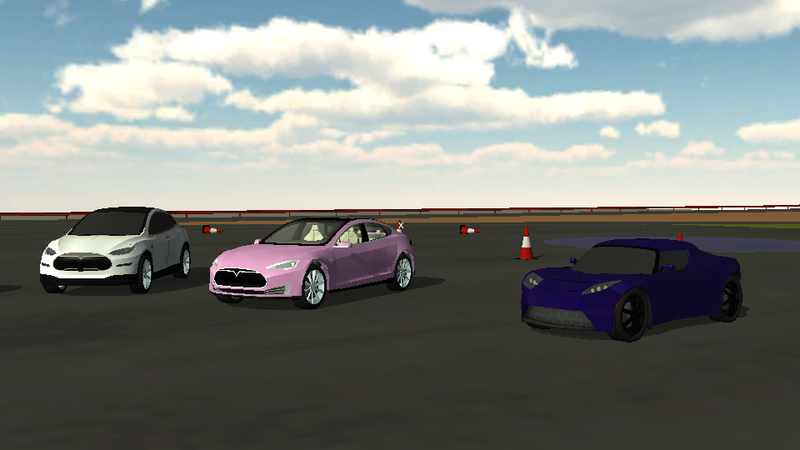 Model X might be a big car (7 people can sit in it), but it was not that difficult to make a 3D-model in Blender. 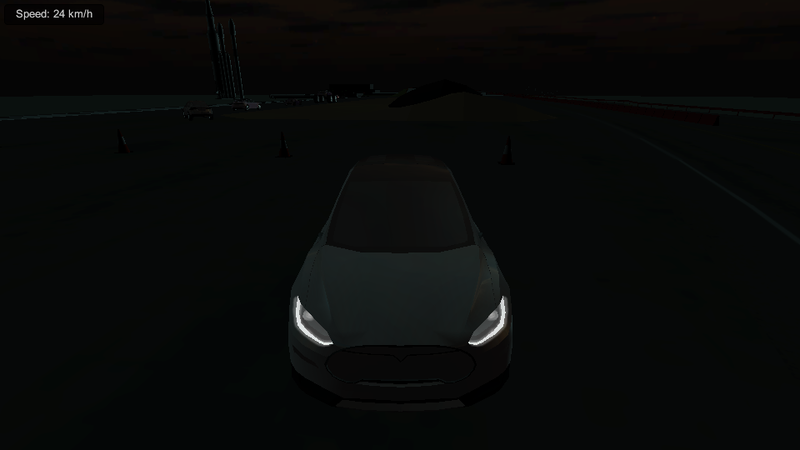 One reason was that I didn't have to make any rear-view mirrors because Model X has cameras instead of traditional mirrors. 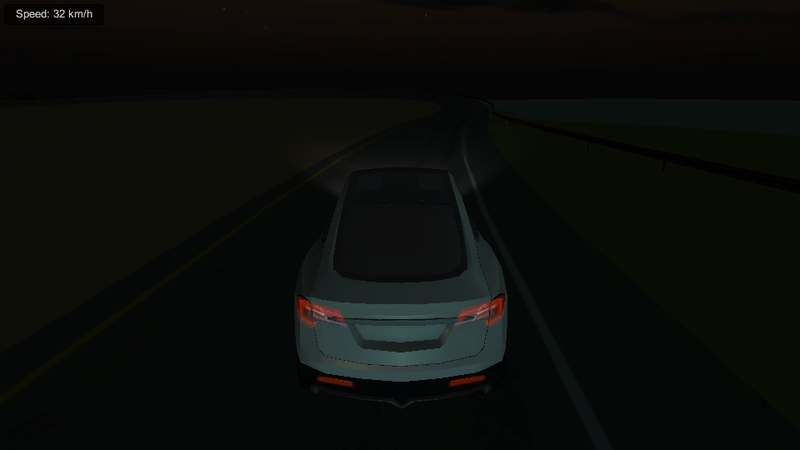 Also, the Model X and the Model S are almost the same car, so I could reuse the wheels and I could recall some of the design features from the time when I made the Model S.
Another thing I learned was to improve the performance and looks of the lightning while night-driving. 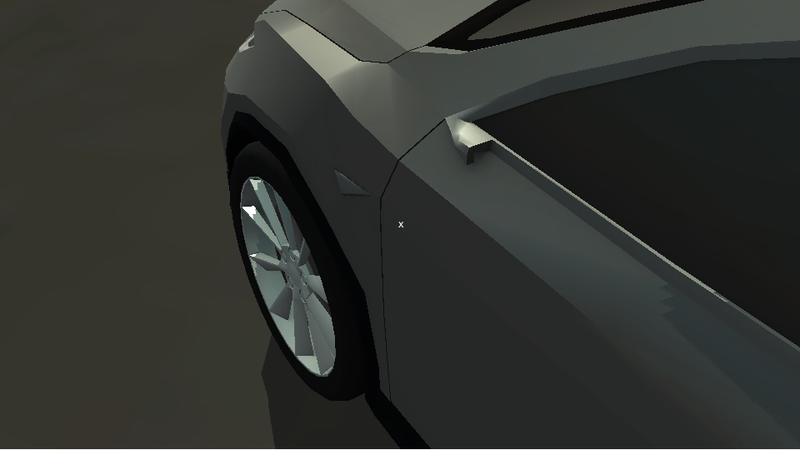 I have previously used a "real" light source, but I noticed that most games, including Grand Theft Auto, use a texture.